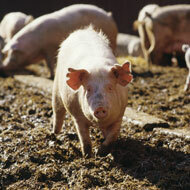 African swine fever has been confirmed in Cambodia for the first time, in backyard pigs near the border with Vietnam. The country’s Ministry of Agriculture said the outbreak killed 400 of the 500 pigs at the premises in Ratanakiri Province, while the remainder were culled and disposed of. Responding to the news, the UK’s National Pig Association (NPA) said the outran was of “little surprise” considering the rate at which the virus has spread in neighbouring Vietnam, since the first case was reported there in February. ASF has been spreading across China since August last year and the country’s pig herd is said to be down 19 per cent year-on-year. The virus has also been detected in Mongolia and there are concerns that nearby countries, including Thailand and Taiwan, could be at risk. There are also concerns that movement of infected meat could aid the spread of ASF, as contaminated meat has already been found at ports and airports in Australia, the US, Japan, Taiwan and South Korea. Meanwhile, the Japanese government revealed this week that ASF has been detected ‘in a contagious state’ in soil for the first time.